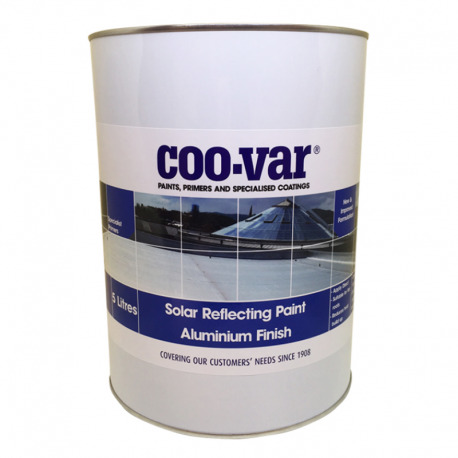 Coo-Var Solar Reflective Aluminium Roof Paint deflects sunlight to reduce heat build-up, internally and externally. 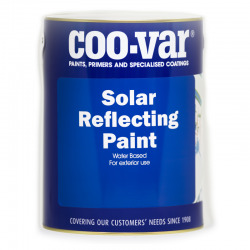 Coo-Var Solar Reflective Aluminium is an oil-based paint that provides a highly reflective metallic sheen. 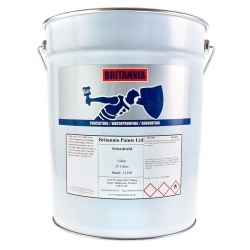 Designed to reflect and dissipate heat and light on roofs, therefore reducing heat build up. 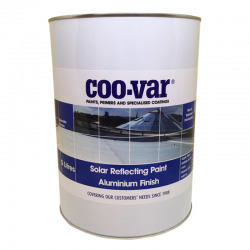 Coo-Var Solar Reflective Paint Aluminium can be applied directly on to an asphalt shingle roof providing it is clean and dry prior to application. Yes, a solar reflective paint on the roof would definitely help reduce some heat build up. On bare, pitched felt Coo-Var Solar Reflective Paint Aluminium or Coo-Var Solar Reflective Paint White would be ideally suited. 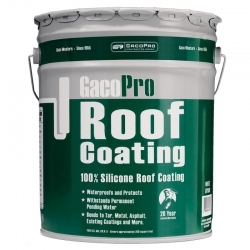 can you use on pro polycarbonate ? Coo-Var Solar Reflective Paint Aluminium can only be recommended for application to felt, asphalt, wood, brick and concrete. There is a chance that the solvents in the coating could attack polycarbonate and result in stress cracking. Bedec Super-Flex may be more suited for your application, ensure the surface is cleaned thoroughly and lightly sanded to provide a key. Apply directly as per instructions and carry out a test area prior to full application to ensure adhesion, compatibility, etc. 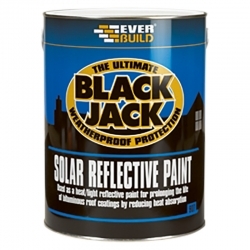 Question: Can your aluminium reflective paint be applied over black jack? This should be OK but we would recommend a test is carried out first to ensure adhesion, compatibility, etc. 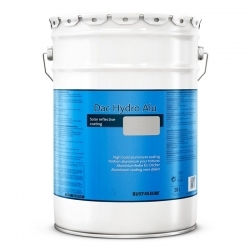 Question: Can the aluminium paint be applied to polycarbonate? No, but you can use Bedec Super-Flex for this application.